A Maternity Ward Without A Sterilizer? Can you imagine working in a maternity ward without a sterilizer? 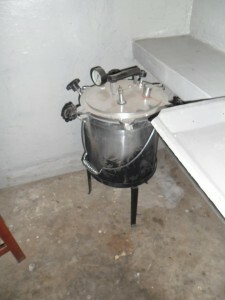 This paraffin powered sterilizer at Nyabirongo Health Centre in Kisinga, Kasese (western Uganda) is out of use. A solar suitcase was donated by We Care Solar. We seek your help to create a good working environment for the midwives, nurses and doctors! Working under aseptic conditions and using sterile equipment/supplies is necessary for both the health of the expectant mothers, the newborn babies, and the medical practitioners.